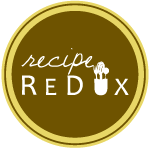 In honor of Earth Day tomorrow – April 22nd – our Recipe Redux blogging members are sharing recipes to help reduce food waste! What’s the most likely food item to go to waste? For most, including myself, it can be fresh produce. Meal Planning, meal planning, meal planning! I can’t say it enough, plan your meals for the week, buy only what you need, and it will tremendously save you time, money, and waste! Buy frozen vegetables. They equally , if not more nutritious, than fresh and cheaper! Plus the freezer keeps them preserved so if your meal plan happens to take a wrong turn during the week, they won’t go bad until you use them next. One of my favorite ways to use up veggies, prep for the week, and have a protein rich meal or snack option is to make a veggie-loaded make-ahead omelet, egg muffins, or quiches; essentially they are all the same. It comprises sauteed veggies, eggs + egg whites, all baked together in a dish over the weekend. Then during the week you have a ready-to-o breakfast or even lunch, snack, or dinner whenever you need. I usually make a crust-less version, but adding even more veggies to your usual recipe – like turning leftover spaghetti squash into a crust – is a fabulous way to reduce waste, add nutrients, and change up the flavor profile! This recipe came to mind as I had tried to make a baked spaghetti squash- egg casserole without really following a recipe and it was a total recipe fail. I salvaged the spaghetti squash, and there’s a few leftover pieces of feta cheese and eggs, but that’ll work perfectly with my solution to not throw the whole thing out! Enter my go-to everything-but-the-kitchen-sink solution! Preheat the oven to 425 degrees. Spray a baking dish with non stick spray. If the spaghetti squash is not already cooked, you can microwave it for about 8-10 minutes ’til it’s soft and tender on the outside. Then (with an oven mitt on to hold the squash stable) carefully slice the squash lengthwise to open it. Spoon out the seeds in the center, and shred the flesh with a fork. Press the shredded squash into the baking dish. Bake until lightly golden brown, about 30-45 minutes – just keep checking on it every 5 minutes after the 30 minute mark. This step is fairly optional. I just wanted to have a crispier crust, but if you are indifferent, this isn’t super important. In a skillet, add the olive oil, garlic, onion, mushrooms, and peppers. Saute until soft. In a large bowl, combine the eggs, egg whites, black pepper, and hot sauce. Combine the egg mixture and the veggie mixture. Throw in the spinach and gently stir to combine. Pour the egg and veggies into the spaghetti squash crust. Bake for another 30-45 minutes until the eggs cook through (the liquid is absorbed and when you gently jiggle the dish, the eggs are set). Truly, you can enjoy this for breakfast, snacks, even lunch or dinner! It’s lean protein and veggies, so you have your most important meal components.